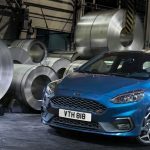 As promised, Ford today pulled the wraps off an all-new, performance-oriented Fiesta ST hot hatch, ahead of its public debut at the Geneva Motor Show next month. 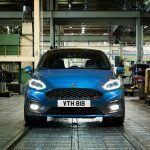 As suspected, the sporty, pint-sized hatchback makes do with a turbocharged, three-cylinder engine, although it isn’t the award-winning 1.0-liter unit we’d anticipated: it’s an all-new 1.5-liter mill. 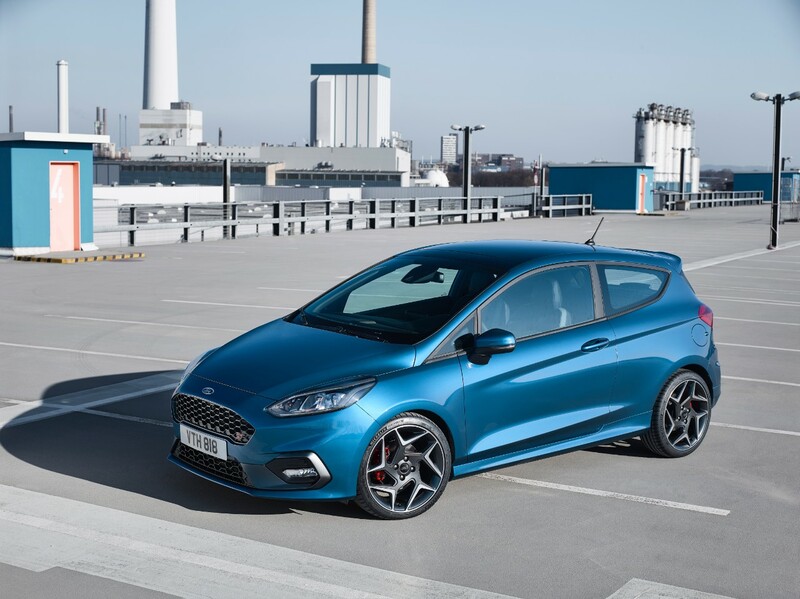 The 1.5L EcoBoost mill is an all-aluminum engine with an integrated exhaust manifold and both port- and direct-injection, capable of producing up to 197 horsepower and 214 lb-ft of torque. 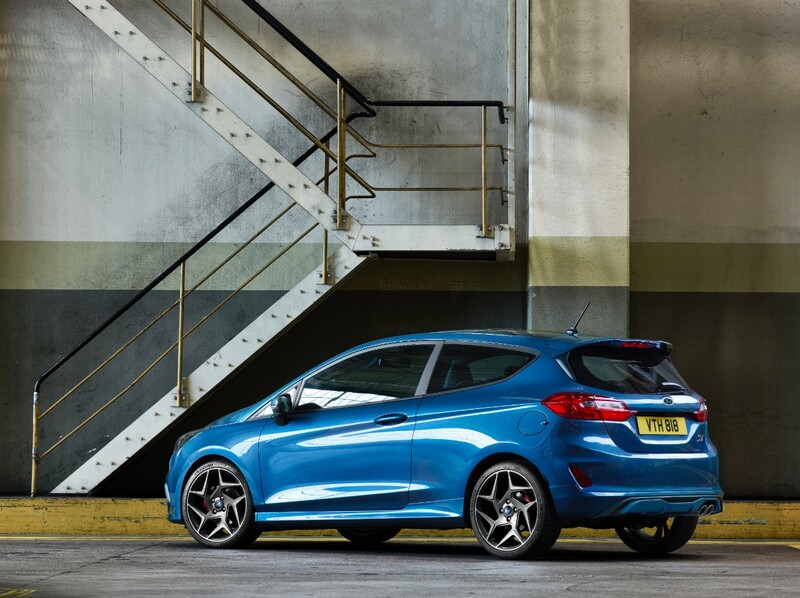 Ford figures that’ll be enough to scoot the new Fiesta ST to 60 mph in 6.7 seconds – quick enough to match the limited-edition ST200. 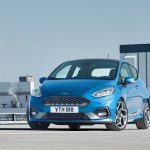 The automaker also says that the turbine within the new EcoBoost’s turbocharger has been optimized to minimize lag, while the architecture of the engine naturally supports high torque from low RPM. 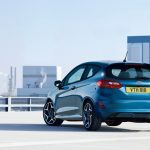 Granted, Ford is chasing after efficiency as much as it is performance with the Fiesta ST’s new EcoBoost engine. 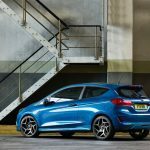 To that end, the three-cylinder will feature cylinder-deactivation that cuts fuel-delivery and valve operation to one of the cylinders while the car is cruising. The system can disengage or re-engage the cylinder in just 14 milliseconds. 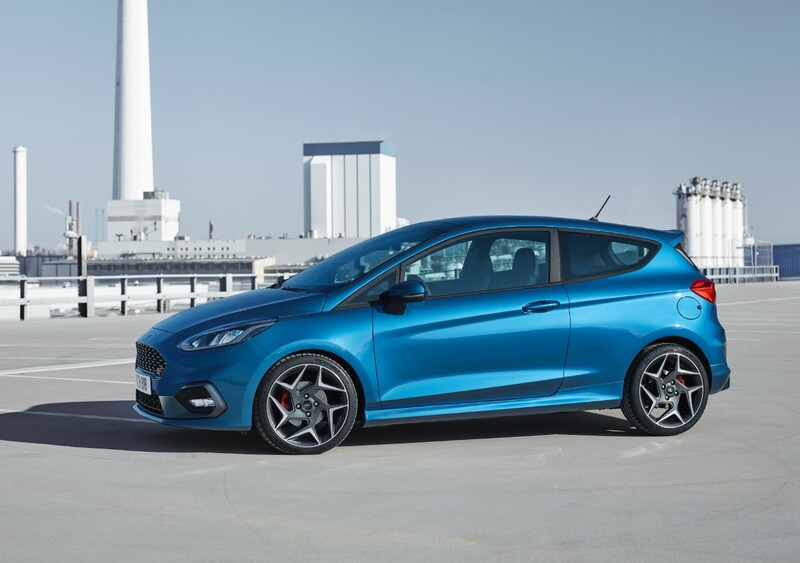 The Mk III Ford Fiesta ST will boast selectable drive modes, enabling drivers to switch between Normal, Sport, and Track programs to tailor the car’s behavior to the situation at hand. 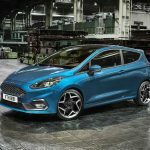 Normal mode configures the engine mapping, electrically-assisted steering, exhaust note, and traction and stability control systems for normal, day-to-day driving. 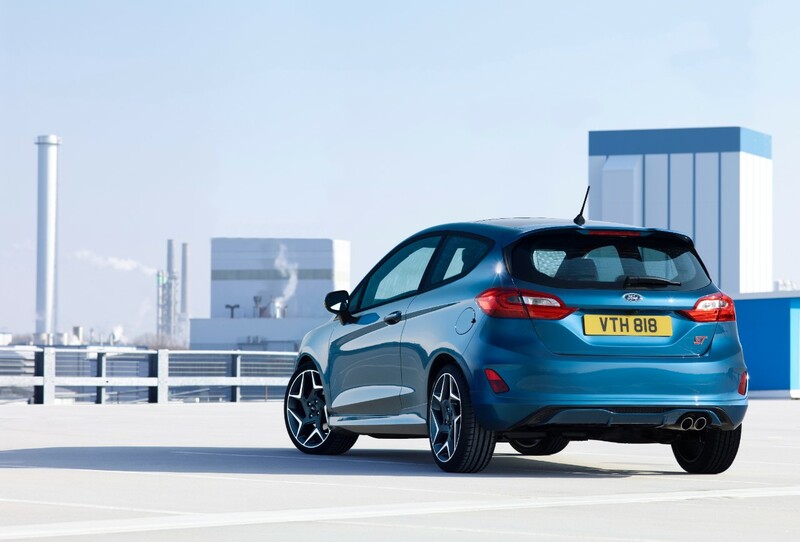 Sport mode sharpens the steering strategy for greater feedback and finer control, opens up the exhaust for a louder tone, and enhances the engine mapping and throttle response. 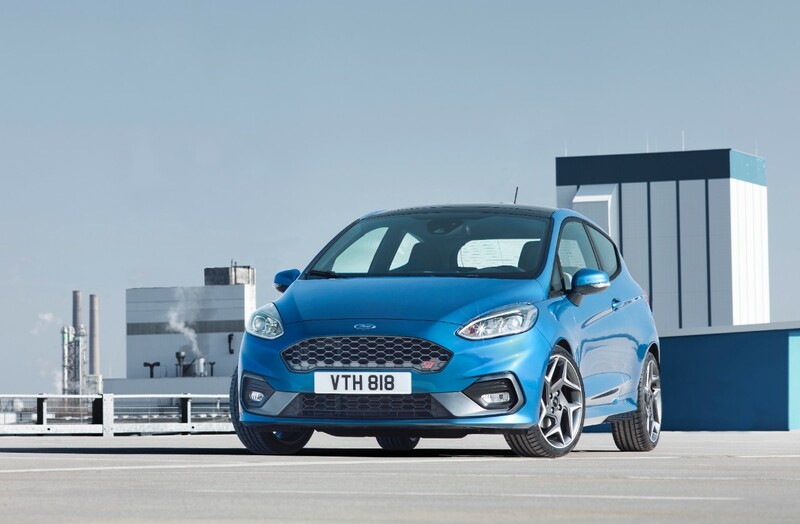 Finally, in Track mode, traction control is turned off, stability control is set to “wide-slip” mode, and everything else is set to deliver the fastest lap times possible. 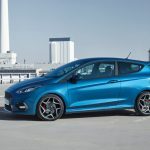 Ford says that with its new Fiesta ST, personalization will be taken to an entirely new level. 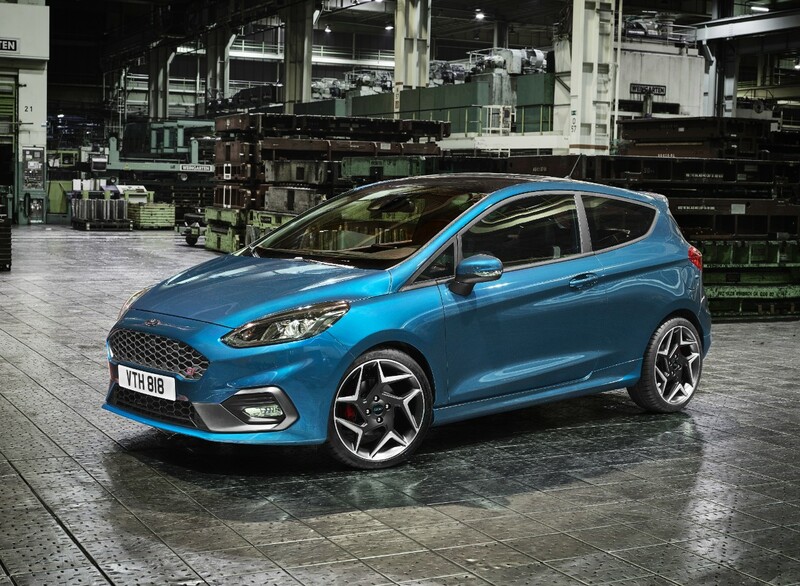 A range of different styling packs will be made available, as will Ford’s awesome Liquid Blue paint shade. 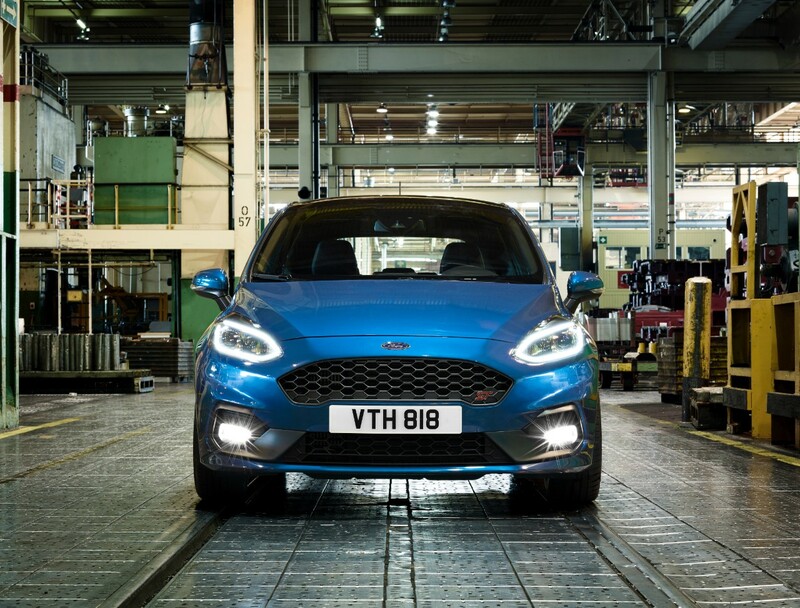 Customers will also be able to specify different decorative pieces in the interior, including distinct gear stick, steering wheel, and door pull elements. Meanwhile, things like Recaro seats and a flat-bottomed steering wheel will be standard. 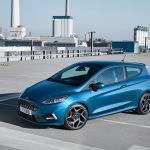 Audio from B&O PLAY will also be made available, just as in the new base Fiesta, along with Ford’s latest SYNC 3 infotainment system with Apple CarPlay and Android Auto.